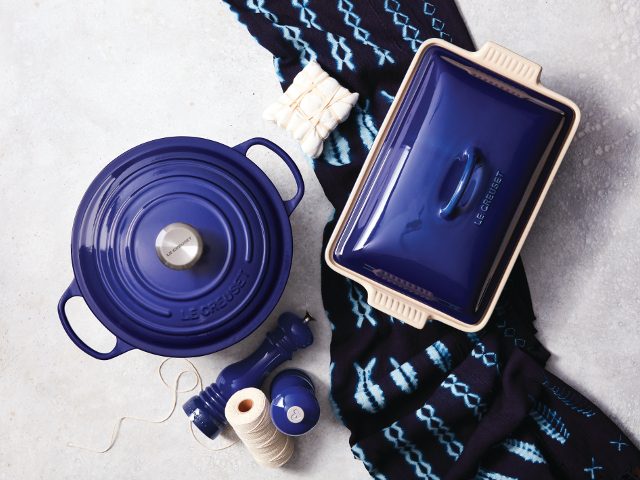 Respect for tradition and authenticity has been Le Creuset's guiding principle since 1925, yet their innovative designs and exceptional quality reflect the demand of today’s discerning cooks. For nearly a century, Le Creuset premium cast iron cookware has been trusted in kitchens around the world for its superior performance, lasting quality and iconic design. With a traditional sense of craftsmanship and hands-on attention to detail, the artisans at their Fresnoy le Grand foundry have kept chefs and culinary enthusiasts in mind, and their work reflects the real demands of a working kitchen. Their product lines are crafted to achieve optimal weight and heat retention properties. Le Creuset cookware is versatile, ergonomic, extremely resistant to wear and tear, and guarantees excellent cooking results.